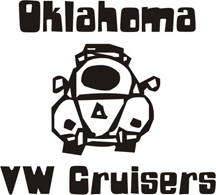 Oklahoma Vw Cruisers • just joined! My name is spyder.i live in jacktown.i own a 73 super beatle baja.im looking forward to this group as i am new the the volkswagon "hobby". You dont see too many super beetle bajas around. Nice. Get some baja wheels/tires on that thing! bethany imports or larrys might have something instock or used. no, post on there your looking for them. Oh do a "ISO" on craigslist?